Dave grew up in southern Illinois accepting Jesus at a young age. In high school be began doing short term missions trips which God used to eventually call him to full time ministry. In college he served two summers in Ukraine doing street evangelism reaching young adults for Christ. After graduating college Dave returned to Ukraine for two years serving a church planting team by creating a youth ministry program and discipling young men. After his term in Ukraine Dave returned to the US where he went to Covenant Seminary, graduating in 2007 with his Master's of Divinity. After Seminary Dave served 2 different churches in Georgia. God used Dave in this time to minister to many youth and young men as well as serving the church wherever there were needs. After 10 years in youth ministry and discipleship God called Dave to pursue serving with Reformed Evangelistic Fellowship. 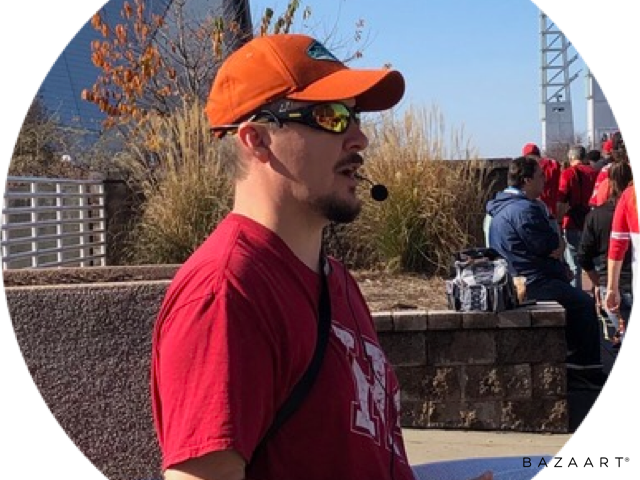 Dave had the opportunity to try open air evangelism (street preaching) for the first time at a conference for evangelism and fell in love with the experience. Now he is seeking to serve the Lord and build his kingdom through street preaching, lifestyle evangelism, and equipping others to better share their faith.